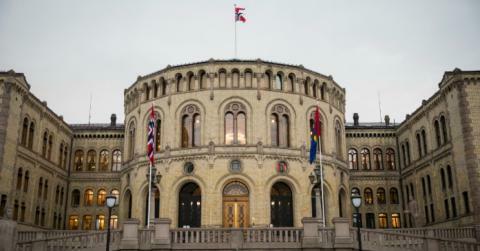 The move from the Norwegian Government comes as a direct response to a January 23rd presidential memorandum issued by President Donald Trump that reinstated the Mexico City Policy. 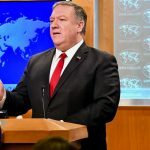 The reinstated policy will, in effect, cut off millions of dollars in federal funding for foreign organizations that perform or promote abortion in other countries. The Norwegian Government also signaled that it will be increasing its contributions to the United Nations Population Fund (UNFPA), a U.N. agency that, on account of its support of China’s one-child policy, has lost federal funding under past U.S. presidents. Norway has long been been a key contributor to international pro-abortion organizations. In 2015, the Norway Government was one of the top ten contributors for both IPPF and MSI. The Norwegian Government’s $10 million pledge makes Norway the tenth country to support the global abortion funding initiative. Two days after President Trump reinstated the Mexico City Policy, Dutch Minister for Foreign Trade and Development Cooperation, Lilianne Ploumen, announced the start of a global fundraising campaign, called “She Decides,” to subsidize organizations that do not qualify for U.S. grants due to their refusal to drop abortion from their family planning programs. In support of the global abortion fund, the Netherlands, Belgium, and Denmark have each publicly pledged to increase spending for abortion and contraceptive services abroad by 10 million euros. The Australian Government also recently pledged an additional $7.3 million ($9.5 million Australian dollars). Including Norway, the campaign has now raised a total of $49 million in government pledges. Other Western countries including Sweden, Luxembourg, Finland, and Cape Verde have confirmed that they plan to contribute as well. The Canadian Government has also signaled that it plans on contributing to the global abortion fund, but may do so less publicly. Next week, the Government of Belgium will be hosting an international conference in Brussels to kickstart the fundraising campaign for the global abortion funding initiative. The global abortion fund has received pushback from pro-life advocates both in Europe and abroad. A petition in Spain asking the Government not to contribute to the abortion fund has received over 100,000 signatures. The global abortion fundraising campaign is not the first time abortion-friendly governments have attempted to raise money for organizations affected by the Mexico City Policy. After President Bush signed a presidential memorandum reinstating the Mexico City Policy in 2001, the Netherlands, Germany, Denmark, Sweden, and Finland retaliated by significantly increasing their funding for IPPF. The Netherlands even went so far as to double their contribution for the abortion giant. The Mexico City Policy has been an official foreign policy position of the United States Government for more than half of the past 33 years. The policy prohibits federal funding for foreign nongovernmental organizations that perform or promote abortion as a method of family planning. According to public records from the U.S. Government, IPPF and MSI, two major organizations affected by the Mexico City Policy, together received about $98 million in federal funding between 2013 and 2015. Since 2008, IPPF has committed over 5 million abortions worldwide. Despite claims that funding for organizations like IPPF and MSI are necessary to protect women’s health, the global abortion funding initiative has yet to announce support for interventions that save lives rather than ones that solely prevent life or terminate the lives of the unborn. No provisions appear to have been made for interventions that contribute most to reducing maternal mortality such as increasing access to skilled birth attendants in developing regions. The move by several Western nations to fund pro-abortion organizations runs directly counter to the new U.S. foreign aid objectives and threatens to strain relationships between these countries and the new Trump Administration. At the same time, the new Mexico City Policy is very popular in the U.S. A recent Marist poll shows that 83% of Americans oppose taxpayer funding for abortion in foreign countries. Funding for abortion also threatens to tarnish the image of foreign aid programs in the eyes of recipients in developing countries. Data from the most recent World Values Survey (WVS-6) shows that abortion is widely viewed as morally wrong. 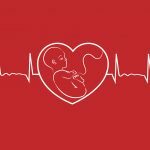 Survey respondents were asked to rate their view of abortion on a scale of 1 to 10, with 1 representing the view that abortion is “never justifiable” and 10 representing the view that abortion was “always justifiable.” In OECD developing countries,  where data was available, 74% of respondents rated abortion as 3 or less. “developing countries” here means countries that appear on the Organization for Economic Co-operation and Development’s (OECD) Development Assistance Committee (DAC) list for Official Development Assistance (ODA) recipients. The list for ODA recipients has no bearing on whether countries qualify to receive aid from DAC countries. Some countries receiving aid from DAC countries do not appear on the list. Some DAC countries are aid recipients as well as donors. Some ODA recipients also give significant amounts of aid either for purposes of south-south cooperation or otherwise.